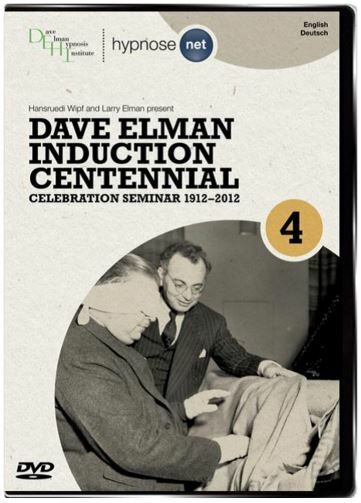 Although the DEI (Dave Elman Induction) was first used in teaching medical hypnosis in 1949, it originated in 1912. Dave Elman, then age 12, began using it on his classmates after experimenting with other methods for a few years. The DEI became the foundation of Elman’s advanced methods taught to over 10,000 physicians and dentists. April, 2012, the Centennial Celebration launched, in Zurich, Switzerland and was professionally filmed to mark 100 years of this Induction. 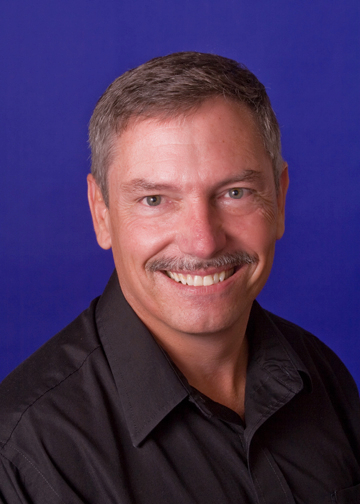 Through great chemistry, Dave’s son, H Larry Elman, and Hansruedi Wipf present how you, the modern hypnotist, can use Dave Elman’s methods within your practice. (English & German tracks). 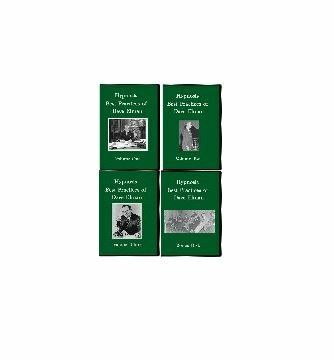 This professionally filmed 4 dvd set brings you to this dynamic setting and class. – Group Esdaile Discussion and Demo and much more. 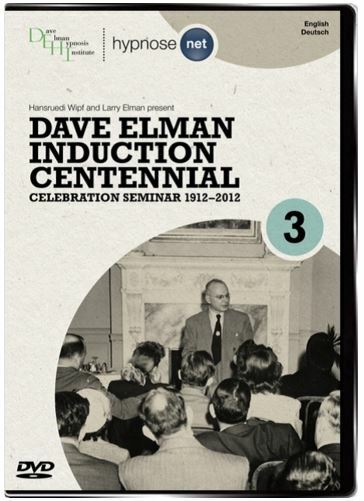 Although I have only viewed the first 3 DVD’s of the 4 DVD collection, the Dave Elman Induction Centennial set is a must see for both new and seasoned Hypnotherapists. It is valuable on so many levels. The new hypnotist will find the series informative and chock full of facts and information that can be practiced and incorporated into their practices. Whether you have taken a condensed hypnotherapist training or a more detailed lengthy hypnosis certification course, you will find techniques and tidbits of knowledge and information that will at the very least, reaffirm and reinforce what you have learned thus far in your career but at the same time will enlighten and entertain. I always encourage my students, once they have completed my training to go out and expose themselves to other instructor’s workshops. Here is a great opportunity to do so from the comfort of your own home. Larry Elman and Hansruedi Wipf, presenting the class together, obviously have a great rapport with each other and between the two of them, a wealth of knowledge with a passion to teach. Obviously, Dave Elman was a brilliant hypnotherapist and although he is no longer with us, who better to learn about his brilliant career and methods than from his son, Larry Elman who grew up surrounded by his father’s natural talent and skills and who actually is the only person to have taken Dave Elman’s training course 3 times. 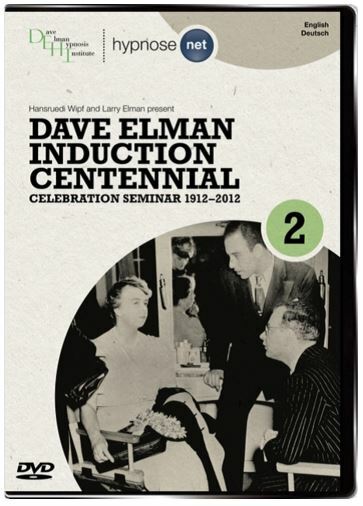 Larry and Cheryl Elman along with Hansruedi Wipf have done a superb job of carrying on the Dave Elman Legacy adding wonderful anecdotes and experiences that could only be obtained from someone within the Elman inner circle of friends and family. It can’t go without mentioning, the brilliance of Larry Elman himself. Although he has dedicated this series to continuing his father’s legacy, Larry’s natural ability to connect with his audience along with Hansruedi Wipf, teach in a manner that is relaxed and easy going while at the same time methodically covering each topic thoroughly and comprehensively using language that is easy to understand and demonstrations that even the novice hypnotist will feel comfortable practicing. 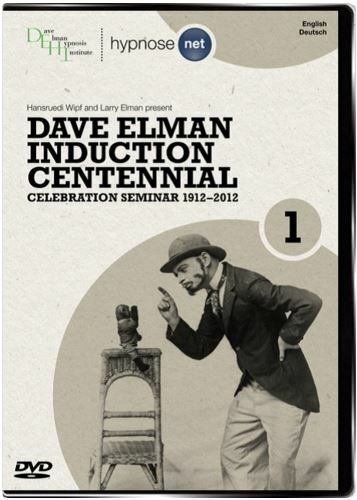 Kudos to Larry, Cheryl and Hansruedi for putting together this great tribute to Dave Elman while truly carrying on the Elman legacy of teaching hypnotists how to be better hypnotists. It’s much easier to unendstard when you put it that way!